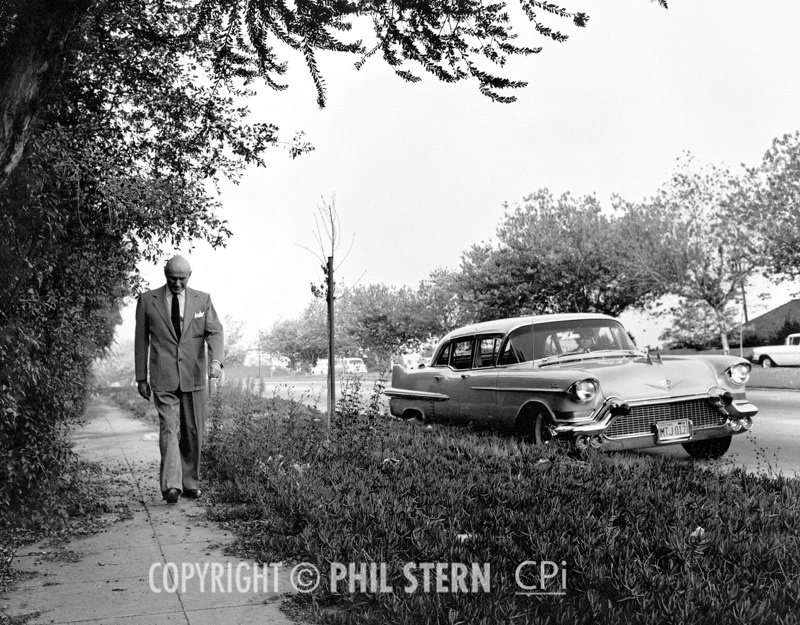 At 92 years old, photographer Phil Stern has seen and photographed a lot. So why not open a gallery in downtown Los Angeles? Located next to the famed restaurant Cole’s, the gallery’s first exhibit is on John F. Kennedy’s inauguration. If you don’t know Phil Stern, just click through his archives. “Oh that’s him?” Sammy Davis Jr. mid-air, Marilyn Monroe looking startled and sad, James Dean popping out of a sweater. There are some people who you don’t have to do anything with. And Jimmy was one of them: He was totally whimsical. There’s one shot where Dean peeks out of a sweater. I didn’t use a tripod or Strobe lights. I had a hand held Nikon. We broke all the rules that day.